The stars of ancient Egypt are undoubtedly the pharaohs, the gold artifacts, and the pyramids. Often overlooked, however, are the common people who reflect the complexity and mystery of their famous culture. They played sacred games, had a sense of humor, and promoted members of society who were often discriminated against in both the ancient and modern worlds. Not everything was easy. From rampant health problems to murder, civilians also suffered dark times and tempers. After a long day of hauling pyramid blocks, ancient Egyptians needed entertainment. A popular activity was board games. They were made for two people as well as multiple players, and if a board was not available, one was drawn on the ground. 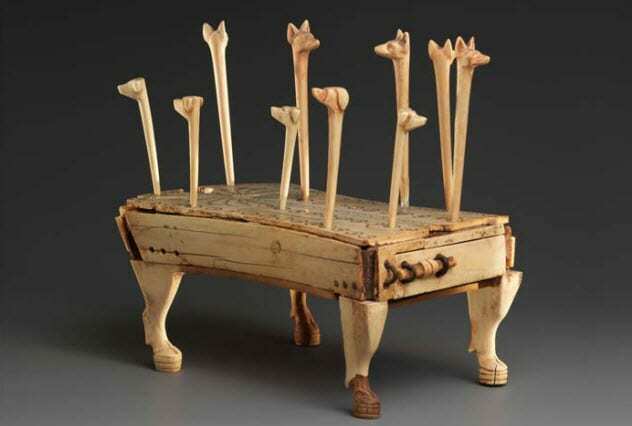 The favorite game was Senet. It had 30 squares in rows of 10, some marked with symbols of good or bad luck. Egyptians being Egyptians, the winner was the one whose pawns entered the afterlife first by escaping bad fortune blocks. Senet was deeply intertwined with the divine. The victor was said to be protected by the gods, and the boards were often included in tombs to protect the deceased during the transition to the afterlife. Aseb had 20 squares. To free a piece from the home block required a four or a six from the dice. If the piece landed on a square held by the opponent, the piece was banished back to home. The rules of Mehen and another game, Hounds and Jackals, are not known. 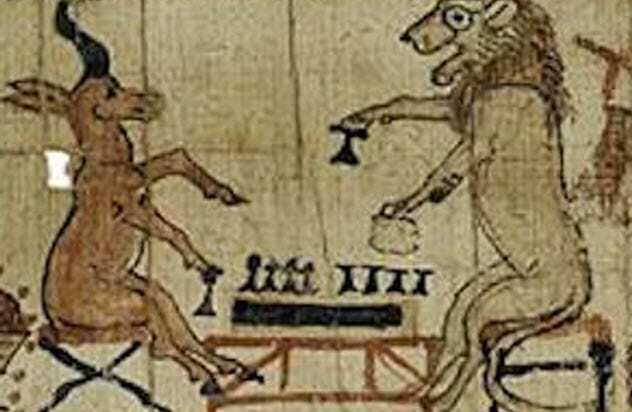 Mehen’s board was a curled-up snake with lion pieces. Hounds and Jackals had 10 stalks, each topped with a canine head, and was likely a racing game. 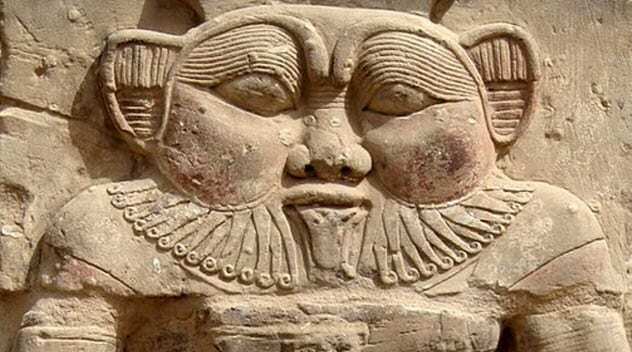 Egyptian art is not known for its colorful clowns. That does not mean that ancient artists had no sense of humor, even though convention demanded images with poise. The artists could and did poke subtle (and sometimes not so subtle) fun at patrons and foreigners. In Thebes around 2000 BC, a tomb carver created a wall image of the deceased. Dagi was a pharaoh’s vizier. He was important in life and should perhaps have been portrayed with a noble countenance. But the artist gave him a depressed look with a raised eyebrow as if Dagi was surprised that he had died. A carving done during the reign of Amenhotep III (1389–1349 BC) shows a scribe and a baboon, the animal associated with Thoth, god of writing. The baboon has comically bushy eyebrows. Artists did not hold back on the sarcasm when it came to Egypt’s enemies. An ivory plaque shows a captive Assyrian prince moving in a silly way and with bulging eyes. Tensions with the Nubians probably caused one artist to sculpt a relief showing a Nubian with exaggerated and unflattering facial features. When researchers recently analyzed the remains of those who forged and decorated the famous Valley of the Kings, they found something odd. Around 3,500 years ago, the village of Deir el-Medina supplied the royal burial ground with carvers and painters. Usually, years of building and creating art would cause upper body issues. However, osteoarthritis was rife in the men’s ankles and knees. After studying the village’s ancient records, the cause was revealed. Despite the hard labor involved at the necropolis, it was not the men’s jobs that messed up their bones. It was how they traveled to work every day. During the week, they lived in huts near the royal tombs and used a short steep hill to go to work and to return when the day was done. 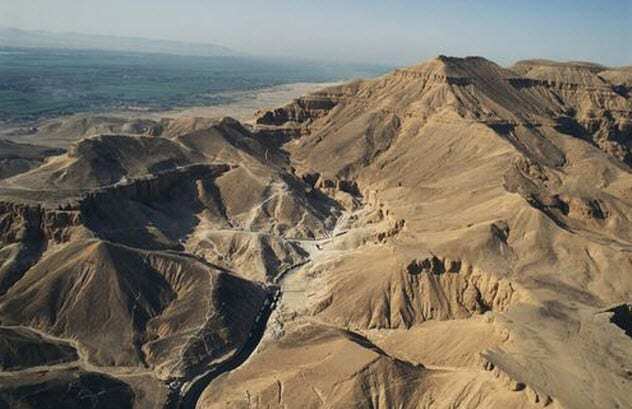 At the end of the week, they went to Deir el-Medina—a 2-kilometer (1.2 mi) walk over hills. When the week started, they trooped back again. This continued for years and for some individuals, decades. The excessive hiking is most likely why this group of artists developed a condition not usually seen in their profession. The complete book on what ancient Egyptians ate will probably never be written. No recipes have ever been found, but an idea can be gleaned from their art and history. Some ingredients were enjoyed by all classes, but commoners were not allowed to handle certain preparations. Fish curing was strictly the domain of priests. Every day, regardless of breeding, everybody consumed the nation’s staples—beer and bread. Then there was beer bread, which was fermented in water to produce a cloudy brew that aided the nutrition of the lower classes. In addition to grain-made meals, such as porridge, there was also game meat, honey, dates, fruits, and wild vegetables. Workers only ate twice a day. Breakfast included bread, beer, and sometimes onions. The workers could look forward to a better dinner. In addition to the staples, they could expect cooked vegetables and meat. 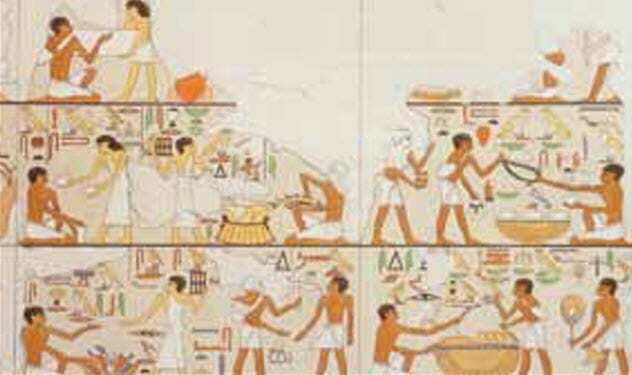 Nobles had veggies, meat, grains, wine, and dairy products with every meal. But the priests and royalty got the best culinary fare. 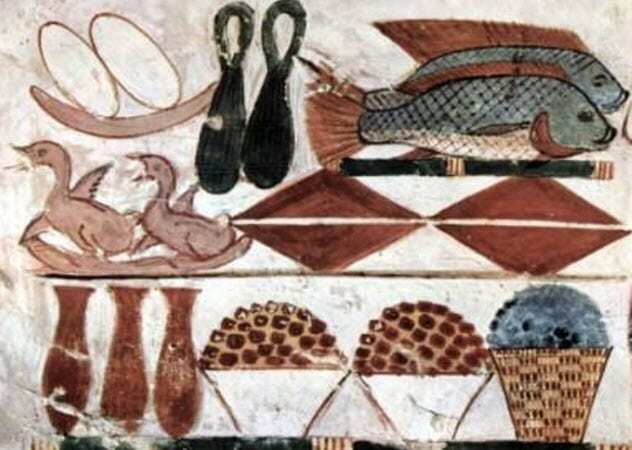 Tomb images depict banquets packed with flowing wine, honey-smeared gazelle, roasted fowl, fruits, and desserts such as honey cakes. The Egyptians did not suffer from enamel failure because they lived before the invention of A-grade floss. It was because they could not keep the sand out of their food. The problem was immense. A study done on 4,800 teeth showed that 90 percent were worn down. Many suffered such abrasion that the living center, or pulpal tissue, was exposed. This led to other conditions such as cysts, multiple abscesses, and osteoarthritis of the jaw. 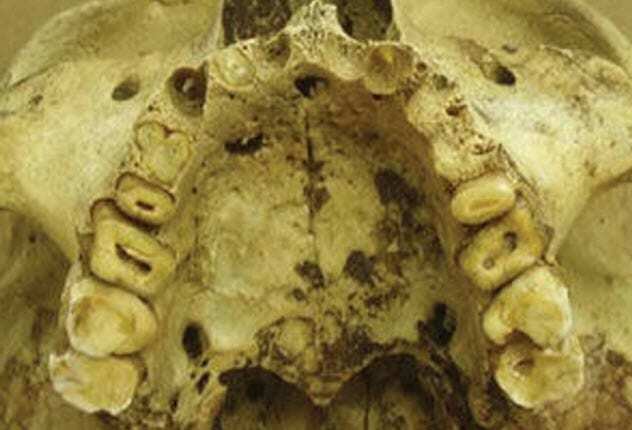 Needless to say, chronic dental pain must have been a fact of life in ancient Egypt. A diet filled with fibrous foods did not help, but the main problem was sand. It blew in with the wind and was collected with the grain during harvest. Sandstone grinding tools also contaminated the flour. Most of it ended up in the bread, which was eaten every day. As a result, ancient Egyptians chewed on quartz, mica, feldspar, and hornblende among other rock particles. Despite the Egyptians’ known adherence to cleanliness, there is no evidence that the complex society practiced oral hygiene. Nothing among their plentiful toiletries resembles a dental tool. The monetary system of ancient Egypt is not fully understood. In the past, it was believed that the system was based on barter without any form of currency. But this deduction was made solely by looking at paintings which showed the exchange of goods. While trade certainly existed, it could not uphold the commercial system of a kingdom so vast. Among its wealth commodities was grain, which was grown on a mass scale. Surplus cereal was stored in a network of silos across Egypt and used to pay laborers who worked on major public projects. But what if somebody wanted to buy a house? A bag of grain just would not do. Ancient Egyptians worked with a unit of worth called “shat.” Experts still do not know exactly what it was, but a house could be bought with items, such as cloth and furniture, as long as they held the equivalent of the selling price in shat. This currency standard existed as far back as the Ancient Empire (2750–2150 BC). One shat was said to be worth 7.5 grams (0.24 oz t) of gold. Boys were encouraged to marry and have lots of little Egyptians. Girls usually married in their early teens. While love matches did happen, marriage was primarily a viable support unit for everybody involved. There was no welfare for the old or poor, and family provided the only safety net. A man was seen as incomplete until he took a wife, after which he was expected to be the provider. Murals traditionally depict men as dark from working outside and the ladies as paler from running the household. 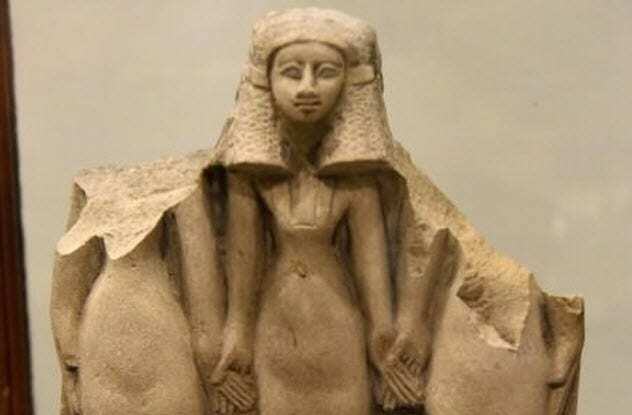 Egyptian wives had the highest birth rate in ancient times and thus constantly faced the dangers of childbirth. There was no effective contraception, and midwives could do nothing during a disastrous delivery. Even so, babies were cherished and breastfed for up to three years. Boys would learn a trade while their sisters were trained in childcare, cooking, and making clothes. Both genders were instructed by their parents in matters of the world, religion, and ethics. The oldest son (in some cases, a daughter) was expected to take care of his elderly parents and also see to their funerals. Egyptian women were not destined to exist as housebound wives. They handled the domestic duties but were free to work elsewhere and own property. Unlike ancient Greek women (who were not even regarded as Greek citizens), ancient Egyptian women could live without a male guardian. They initiated divorce, went to court, and served as members of juries. They were not forced into arranged marriages, but they could draw up legal documents and pursue careers. This horrified Greek visitors, who incorrectly assumed that the roles were reversed in Egypt. Still, the majority of higher professions were dominated by men. A small percentage of women broke through this glass ceiling and became honored priests, scribes, and pharaohs. Female doctors were also respected. 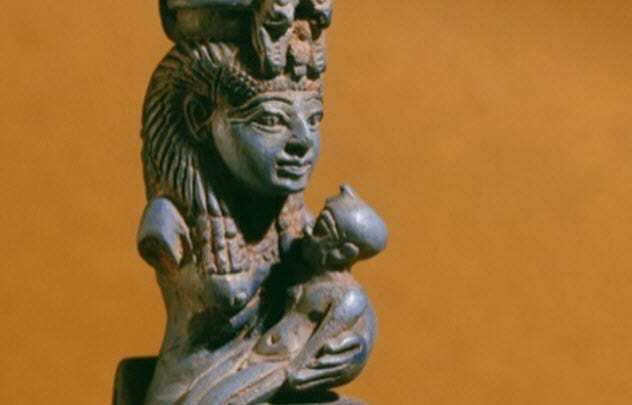 One named Peseshet held the title of the “overseer of doctors.” The oldest record of a woman practicing medicine mentions Merit Ptah, who lived in Egypt 5,000 years ago. In essence, ancient Egypt was the first region to empower women, not the West as so many assume. In the ancient world, people with handicaps were often treated worse than women. Mental illness was viewed with such shame that Chinese families hid such members from view. In Greece, they were abandoned to wander the streets. Ancient Egypt no doubt had its haters, but the populace and physicians generally had a very accepting attitude toward people with disabilities. Their moral writings taught respect for those facing physical challenges. Individuals born with dwarfism were not viewed as handicapped. They had no fear of unemployment and worked as attendants, overseers, caretakers, artists, and entertainers. Among the skeletons of Deir el-Medina (the village of the arthritic artists of the Valley of the Kings) was a young man. He was born with a useless leg, a serious disability for a group that hiked great distances. Instead of being an outcast, his otherwise healthy remains showed that he lived well and was employed in a manner that accommodated his situation. As far as mental illness was concerned, Egyptians came the closest to modern treatment. Instead of blaming or shaming the patients, the afflicted were encouraged to engage in creative pursuits. A lot of art shows happy domestic scenes between partners and their offspring. Idealized family notions and legal equality was one thing, but violence toward women and children remained a reality. Horrifying cases have been recorded. 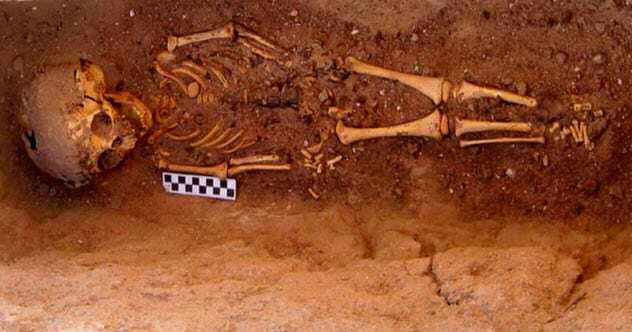 The 2,000-year-old skeleton of a toddler in Dakhleh Oasis had fractures of the back, pelvis, ribs, and arms. Some were old breaks, a classic sign of long-term physical abuse. Both upper arms were broken as if he or she had been violently shaken by an adult. The broken collar bone showed no healing and could have been part of the event that ultimately killed the youngster. In the ancient town of Abydos, a 4,000-year-old victim was found. The woman was around 35 when she was fatally stabbed in the back. Her bones revealed a lifetime of physical assaults. She had old and new fractures that match those of battered women repeatedly kicked or punched in the ribs. Her hands had injuries, probably from attempting to shield herself or to break a fall. Since her abuser remained close for a long time, he could have been a male family member or her husband. Read more fascinating facts about the ways in which ancient Egyptians influenced our modern lives on 10 Ancient Egyptian Medical Practices We Still Use Today and 10 Ways Ancient Egyptians Influenced Modern Life.